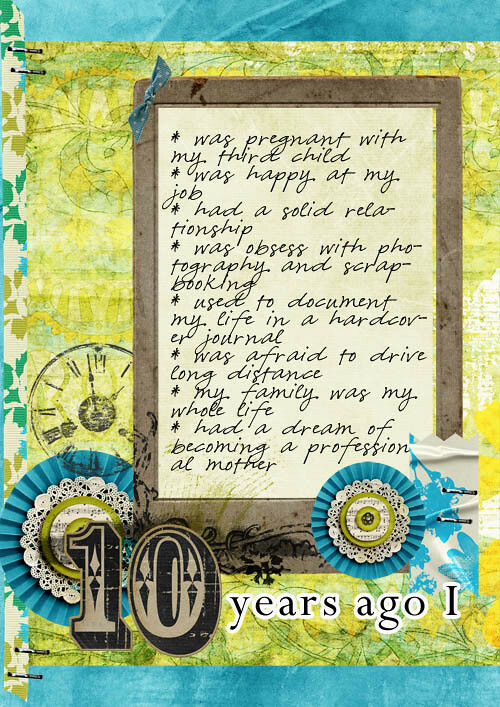 ~hanizeyecandy~ : 30 days of lists // 10 years ago I..
30 days of lists // 10 years ago I.. Somehow it’s very hard to believe that 10 years ago I was pregnant with my third child, there was no blogging and facebook phenomena. I used to document my life in notebook and that was also not something I would do in a regular basis. So many things has changed since than. Now I can document a part of my life on line and also in an Art Journal form and I do it regularly. So 10 years from now I can look back and read all these little moments in life that made life interesting.